As you read in the last blog post, many martial arts weapons evolved from farming tools. We gave you a little quiz to see if you could guess which weapon came from what tool. Here are the answers – how well did you do? Were you surprised to find your favorite weapon once had a different purpose? Of course, the version you have is probably very different from what an Okinawan farmer would have used! Weapons-based karate itself has also evolved over the years. One of the relatively new facets of martial arts is weapons-oriented sport karate. This came around largely thanks to the fact that karate practitioners no longer have to go around bashing samurai on horseback or fending off swordsmen. Weapons have long held a revered place in martial arts. In Feudal Japan, they would certainly have been necessary for self-defense and warfare. But today? An eku or “boat oar” staff might snap a katana, it would be seriously outmatched by a firearm or stun gun. Plus, what used to be stealthy would now be conspicuous. Not as many people farm today, and even fewer people use the 17th century tools these weapons were based on. They are too large to be conveniently carried in a purse or bag, and they require a high skill level to use effectively, unlike practical self-defense items. Instead of letting weapons training die off, one of the ways practitioners have maintained the tradition is by developing sport karate. Sport karate practitioners share the same basics as traditional karate practitioners, but with a different focus. They hone the elements of karate specifically related to athleticism and showmanship: speed, coordination, the precise manipulation needed to throw a rotating bo 20 feet in the air, spin, and catch it. The moves are adapted from traditional fighting kata, but made more elaborate. For example, check out some of Jackson Rudolph’s bo staff routine videos on YouTube. He is a member of Team Paul Mitchell Karate, one of the world’s best-known sport karate teams with competitors from across the globe. Obviously, these routines aren’t fully intended for combat, since nowhere outside Hollywood will a fight follow a choreographed pattern. However, these moves are based off of kata that would have been used for fighting. They don’t look like anything you’d find on a farm. But their eye-catching appearance is great for competitions. The same is true for the Jackson Rudolph Bo Staff. That’s right – it’s named after the Team Paul Mitchell member, and is the same type of bo he uses in competition. 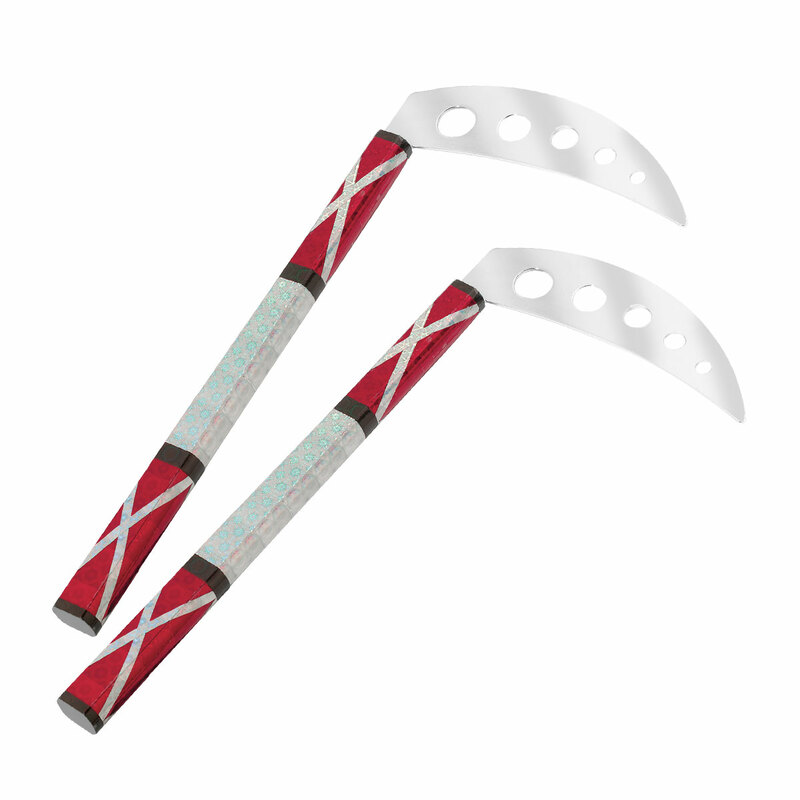 Like the kamas, it is lightweight and has a flashy appearance. The newest bo even has a grip in the center to help with demonstrations. It’s another mark of how sport karate has changed how weapons use is practiced in martial arts. Instead of skill with a weapon being measured by how many craniums you crack, it’s judged by how smooth your kata is; how fast your movements and how impressive your maneuvering, or “tricking” is. If you’re interested in seeing some top-notch sport karate, look up Jackson Rudolph or other members of Team Paul Mitchell Karate on YouTube, and check out Century’s awesome selection of all types of weapons!